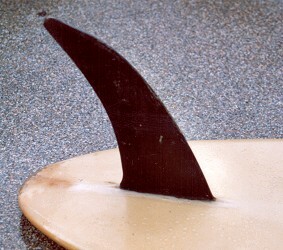 The fin has minimum rovings and fin patch. Bottom: 'Standard' black script, and blue/pink 'Shane' kidney logo on nose. Catalogue No. 70 : " Shane Standard...5 ' 5'' single fin, basic 1970's period piece, good aged item."